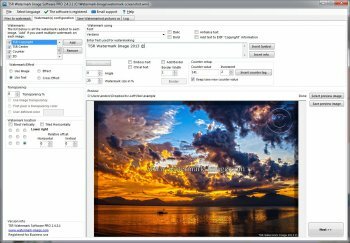 TSR Watermark Image is a free software tool that can add digital watermaks to all your images, photos and pictures in a batch. OR, Tell "How it is" in your Preview..!! Stop Trying to Con the Innocent People. in this Thread & will Affect your Other products. Dirty Deeds don't come Cheap.. The Fattest ZERO ever. I too used this when it WAS a truly FREE for NON-COMM use, and it worked rather well. BUT, after it went to basically a crippled demo, and decided to actually place its own watermark on your images, then it became a truly bad POS. I have since found other ways to watermark that do NOT use a product from a company that would pull such a VILE trick on its users. But, then again, GREED is and always shall be RAMPANT. 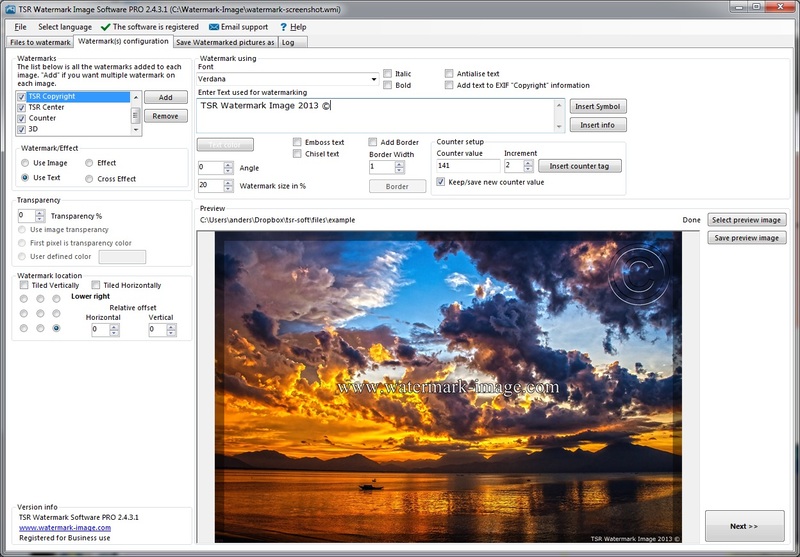 Yes, you are right, TSR Watermark Image has become a useless demo. There were times when it was free for non-commercial use and wasn't crippled. The last version which was fully functional was 1.9.9.7. Don't waste your time Guys... Lots of O/source & "proper" F/ware available..!! It's Goofy & Shoddy. After you've used the Wizard to make & place your Wm.